As a company built on the core principles of hard-work, integrity, and practicality, we recognize the importance of these values in our employees. That is why you’ll find that from the mill to management, we have an involved, passionate team dedicated to excellence. As the closest major sawmill to the coast, we are only a few hours and a scenic drive away from the heart of Vancouver, British Columbia’s largest city. The woodlands division at Aspen Planers is currently accepting resumes for a Senior Forest Engineer. Aspen Planers Ltd. is seeking a dynamic, self starting, team-orientated individual to serve as a Senior Forest Engineer. This is a permanent, full-time position working under the supervision of the company’s Senior Forest Planner. 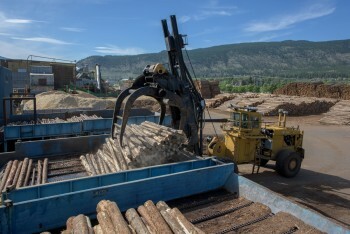 You will work in concert with various other departments in our Merritt and Lillooet woodlands divisions such as Planning, Silviculture, and Harvesting serving as a senior layout, development, and appraisal engineer building standing timber inventory for the companies lumber and veneer milling facilities. – Be an active member or be eligible for registration with the ABCFP. harvest systems including ground based, cable and helicopter. work independently and as part of a team in a changing environment. While all applications are appreciated, only those individuals selected for an interview will be contacted. Aspen Planers Ltd. is a producer of dimension lumber with a present annual capacity of 350 mmfbm. Operations are located in Merritt, BC, in the beautiful Nicola Valley. Mild winters, sunny summers, numerous outdoor recreation opportunities and all amenities make this area an ideal location to live, work and play. We are currently seeking a qualified, enthusiastic individual with a desire to work in a fast-paced team environment. If you thrive within a challenging and dynamic setting, have a strong safety background and a desire to work in a team environment. We thank all applicants who express interest, however only those selected for an interview will be contacted. Aspen Planers Ltd. is located in Merritt BC and is a producer of SPF dimension lumber with a present annual capacity of 350mmfbm. Our commitment to the forest industry and our people continues. We are currently seeking a qualified individual to join our progressive team at our Merritt Sawmill operation. The ideal applicant will have good troubleshooting and problem solving abilities, and will be responsible for the safe maintenance, repair and modification of all sawmill-related equipment. 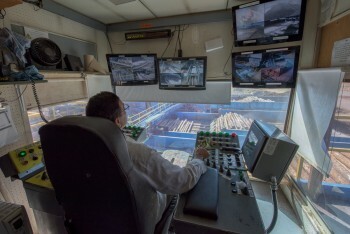 You will apply your skills to maximize uptime, quality and production. You will hold an Inter-provincial ticket with a strong background in hydraulics. As well as excellent communication and interpersonal skills. Experience in a sawmill environment is a definite asset as well as a welding ticket. Shift work will be required. Located at the crossroads of the Coquihalla, Merritt is a growing city boasting numerous amenities and outdoor recreational activities. resumes for a Forestry Technician to begin immediately. companies lumber and veneer milling facilities. Working knowledge of road and cut block design, with forestry experience in all harvest systems including ground based, cable, and helicopter. Excellent communication, interpersonal, and organization skills, with the ability to work independently and as part of a team in a changing environment. encouraged to apply. Training is available. The Place: The Woodlands Division of Aspen Planers Ltd in Merritt BC is currently accepting resumes for a Planning Forester to begin immediately. office time, flexible field time is also a requirement as needed. Attend Timber Supply Area (TSA) meetings, including active participation in specific committees.